This winter's GGP was the SailJuice Series Round 4, RS Aero UK Winter Series Round 2. Congratulations to those who completed the course at Grafham in winds topping 30kn at times! Only 73 of the 169 entries took to the water and many of those failed to finish two out of three races for a series! Nice to see 9 RS Aeros entered, a record for the GGP. Entries were split onto 3 race courses with the RS Aero 9s in the Medium Fleet and RS Aero 7s and 5s in the Slow Fleet. Chris Larr (Northampton SC) in his RS Aero 9 did well to complete all the races in good order to take 16th from 64 entries with places ahead of him dominated by trapeze boats and double handers. Paul Bartlett (Starcross SC) put in a good series of races in his RS Aero 7 to take 8th out of the 65 entries in the 'slow' fleet with son Greg Bartlett (Starcross SC) taking 21st. 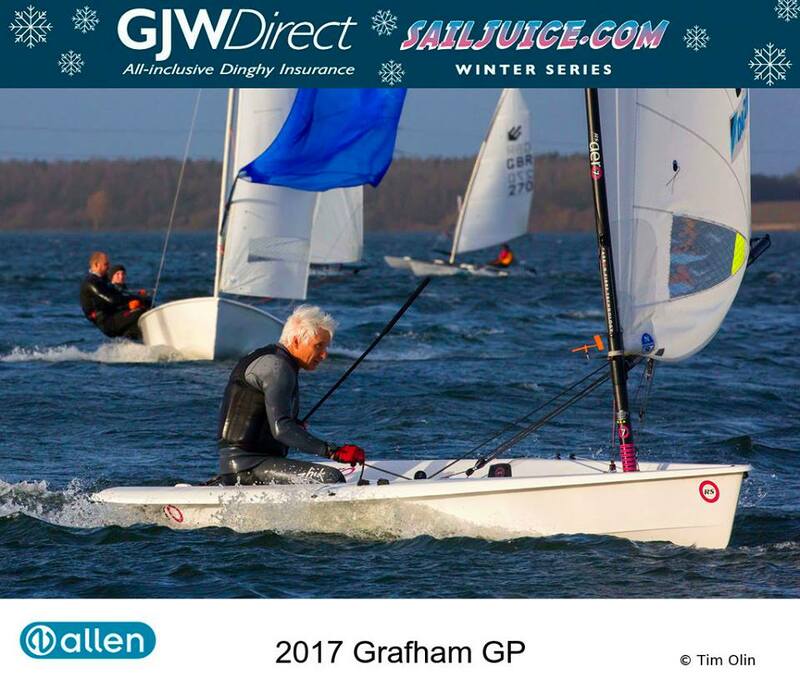 In the overal SailJuice series Chris Larr now sits in 7th from the 197 entries over the first 4 events (3 more events to go at King George, Rutland and Oxford). - Emsworth Slipper SC's Slipper Shiver (Hampshire) is Round 3 of the RS Aero UK Winter Series. Come and join the large home fleet for an afternoon pursuit race at the top end of Chichester Harbour. - King George SC (North London) hosts the rescheduled Round 5 of the SailJuice series, replacing the Bloody Mary.